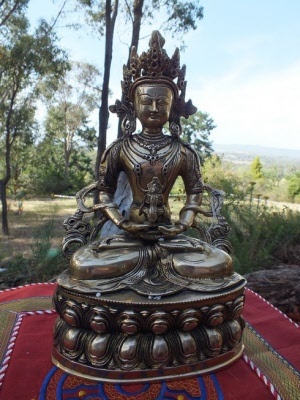 Devotion to Amitabha is at the centre of Pure Land Buddhism. 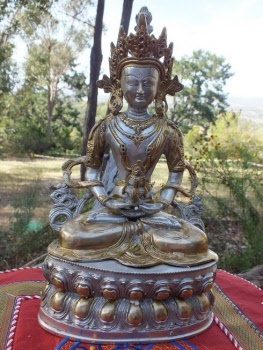 Amitabha Buddha is the best know of the Dhyani Buddhas. Amitabha was a king who renounced his kingdom to become a monk, he practiced dilligently and realized enlightenment and became a Buddha. 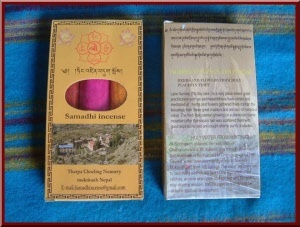 Herbal fair trade chemical free hand rolled incense. A magnificient statue of Amitabha, cast in India with much care and respect. 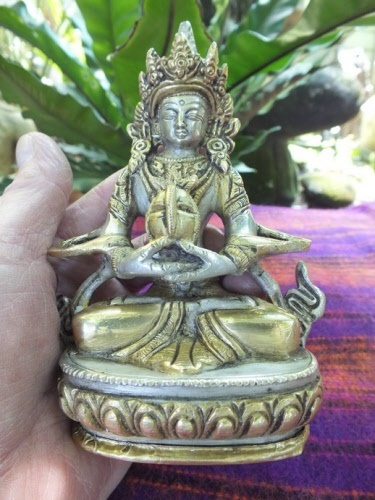 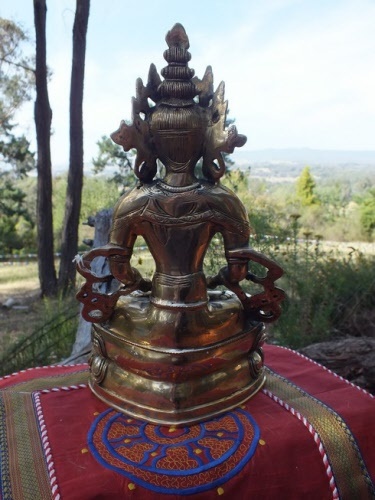 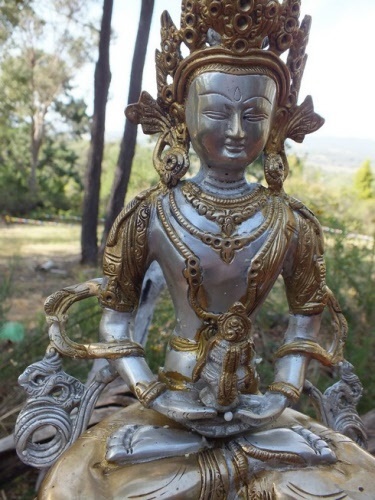 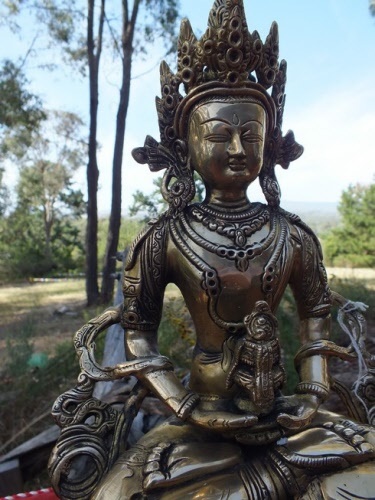 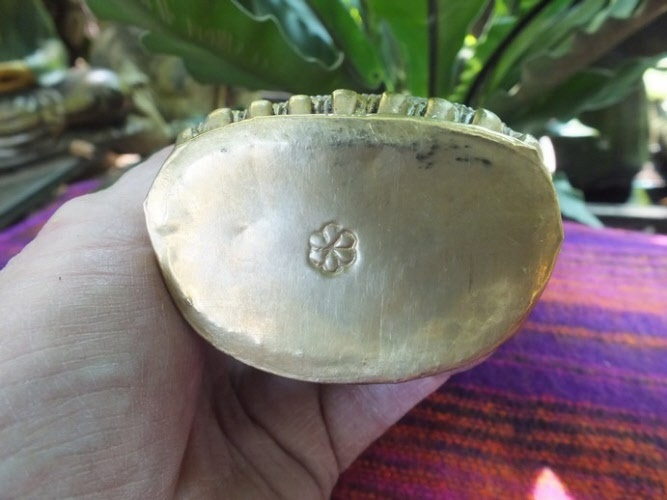 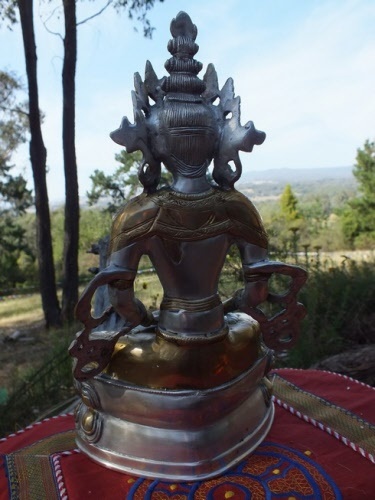 A beautiful dazzling statue in natural brass.